No matter what season, it’s always the right time for rosé. We think of drinking pink in warm weather but with the carefree days of summer nearly behind us, don’t put away those bottles yet. Sip into fall with rosé, too. Enjoying a glass makes short work of back-to-school stress. Rosé is a top pick year round due to its flexibility, affordability, and visual appeal. It pairs beautifully with a variety of dishes, most are under $15, and it’s pretty to look at. With a rainbow of hues from light salmon to deep fuchsia, there are easily 50 shades of pink when it comes to rosé. I’m such a fan of pink wines, I have a glass of rosé tattooed on my leg. Now, that’s commitment. Most rosé is made by crushing red grapes and allowing the fresh juice to remain in contact with the purple grape skins for a short time. Which grape varieties are used and how long the juice soaks with the skins gives rosés their telltale color and style. Lighter versions can be made from grapes like Pinot Noir, Grenache and Tempranillo, while deeper-hued, fuller-bodied wines hail from varieties such as Syrah, Cabernet Sauvignon, and Zinfandel. The juice can be made into sweeter blush styles (ubiquitous white zinfandel) but the hot trend is to drink dry. All the wines I recommend below are deliciously dry in style with mouthwatering fruit flavors. From brunch to lunch wines, cocktail hour sipping to dinner options, rosé is the answer. Because pink wines are made with red grapes but in a white wine style, they swing both ways when tackling the table. In other words, rosés pair as easily with delicate fish dishes as with rich meaty ones. Rosés have a vibrant, racy character with juicy flavors that are ideal with ribs off the grill smothered in barbeque sauce or Cajun-spiced shrimp. Pinks are also my pick for handling the cacophony of flavors on a Thanksgiving table (if you want to think that far ahead). When it comes to serving, chill your pinks down. This brings out the fruity notes and tames the alcohol. I put my bottles in a bucket or sink filled with half ice and half water for about 20-30 minutes. But, I am not above putting an ice cube or two in my glass. I make my own pink cubes with leftover rosé. It’s the perfect way to keep my glass cool without diluting the wine. Drinking rosé is a virtual visit around the wine world. From New York to California, South America to Europe, and Australia to New Zealand, you can find high-quality global pinks. Famous spots to look for on a label include the regions of Rioja and Navarra in Spain, the southern French areas of Bandol, Tavel and Côtes de Provence, and Bordeaux in France. This iconic place is thought of primarily for expensive reds, but my hidden gem recommendation is Bordeaux rosé. Producers are making lighter-styled versions dubbed simply “rosé” while their unique “clairet” (pronounced clare-ahy) styles are darker and more similar to a light red. 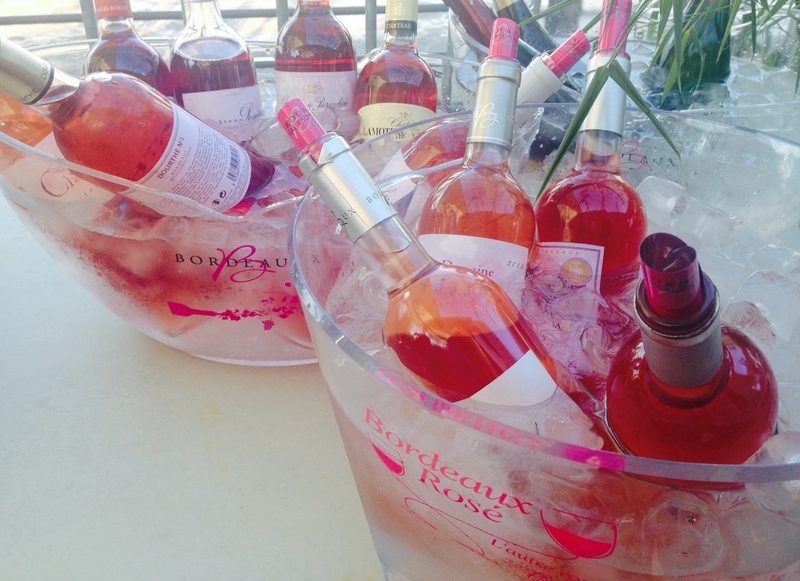 Whichever rosé you choose, follow my lead and pack your upcoming calendar with drinking pleasure. Hailing from the scenic Entre–Deux–Mers area of Bordeaux, this blend of Cabernet Sauvignon, Merlot and Cabernet Franc grapes is crisp and lively. Winemakers Charles Smith and Charles Biehler have a motto “It’s just wine, drink it.” Couldn’t agree more. You’ll want to drink two bottles of this grown-up juice. Light, bright and simply fun to drink. With lip-smacking freshness and an easy-open screwcap, it’s a top party pick. A unique wine with a salmon hue blends mostly white Viura grapes with a dash of red Tempranillo. It’s floral-scented elegance makes the wine an ideal pick for patio sipping. This classic blend of Grenache and Syrah is a crowd pleaser. Red berry and strawberry aromas are followed by a spicy kick. Winemaker Patrick Carteyron crafts some of Bordeaux’s best rosés including this deliciously complex yet succulent pink. It’s one of my current favorites and a wine to seek out. A traditional combination of southern French varieties such as Syrah, Grenache, Mourvedre, the modern-styled pink is class in a glass. Hailing from vineyards high in Rioja, this wine is made in a style to please every palate. Fresh and juicy but with some fleshy qualities, it goes beachside to tableside with ease. A snappy yet complex wine from the grape variety Garnacha (otherwise known as Grenache), it’s packed with strawberry and watermelon notes layered with a hint of spice. You’ll convert to pink after sipping this appealing wine. If you want a striking gift, stock up on this wine. The packaging – a clear bottle with glass closure – is sleek and stylish. Buy it for the looks but love it for the wine inside. 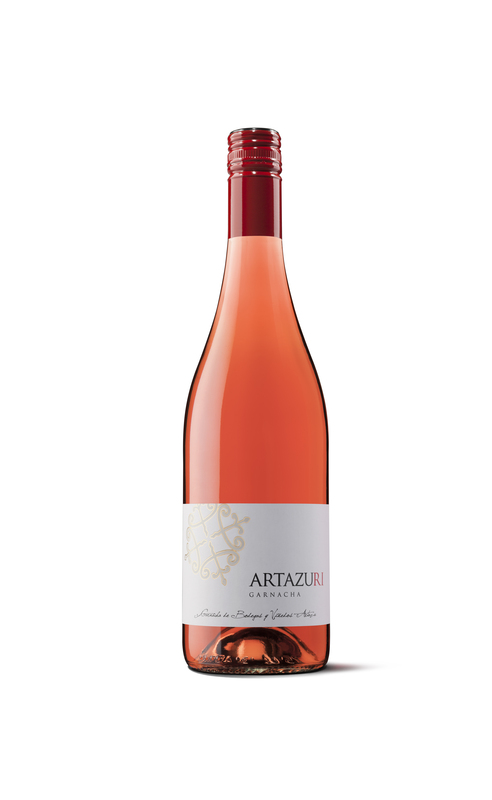 Winemaking icon, Aurelio Montes, captures the fun of pink wines with Cherub. The whimsical angel label grabs your attention, but it’s the lush rosé that makes you smile. High altitude, rocky vineyards in the rugged Calatayud region are responsible for a rosé with layers of flavor. Serious wine, but still seriously enjoyable to sip. For red drinkers who don’t like rosé, this hearty wine will have them seeing…and drinking pink. A deeper, darker dry rosé based upon Merlot, it shines with grilled or braised meats. Don’t think sweet when you see Zinfandel on the label. Pedroncelli is an historic producer of the classic red grape and makes this dry pink version that will impress for less. Named for the llama who lives on the winery’s property (with a tongue-in-cheek ode to the band Pink Floyd, as well) this delicious, limited-production rosé is a unique blend of Pinot Noir, Cabernet Franc and Sangiovese. Do you love to drink pink? Let me know what YOUR favorites are! Can you recommend how to order some Chateau Penin Clairet? Looks really interesting, but I couldn’t figure out who I could order it from. Lastly, we are in Sebastopol and headed to Cork’s restaurant at Russian River Vineyards tomorrow—we love this place and the food—have you been? Richard – sorry for the delay. The best place to wine all of the wines I talk about is on wine-searcher.com . 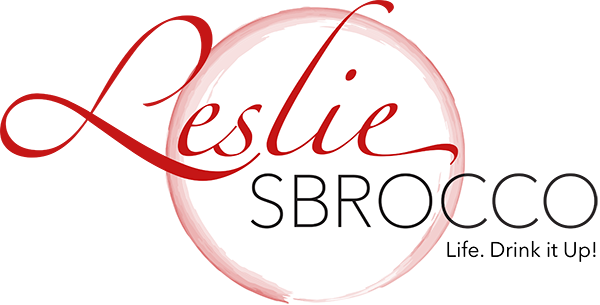 There you can search all of the importers that will ship you wines and can compare and contrast the prices and shipping fees! I know that Specs in Texas used to carry it, but I just checked for you and it would appear they have run out! It’s a pretty popular wine!